Far beyond the pleasure of completing a work of art, a relief dominates above all. Its the relief that something worth listening reach its final destination: the audience. The release of the Mythodea , an inspirational work from guitarist Christos Nikolaou is finally out, featuring classy musicians such as Vitalij Kuprij, Mistheria on keyboards, bassist Steve DiGiorgio, Charlie Zeleny on drums and John West on vocals. Christos worked under no time pressure and the symphonic Power Metal identity with quite a few Prog elements reached a top level. Wonderful and catchy melodies on guitars and keyboards, fine vocals lines that John highlights with his own delicate expression force my to consider Mythodea a must for all fans of the genre. Combining professionalism with passionate expression, Mythodea is a debut that deserves attention. Including songs like “In My Soul”, the ballad “Nostalgia”, “Mnemosyne”, "Asia" and my favorite “Ultimate Pain”, this album is wonderful. 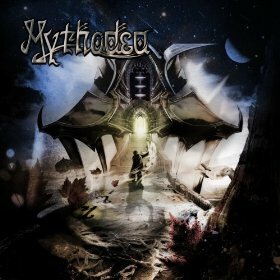 I also believe that Mythodea must already be considered as a bright example of how Symphonic Power/Prog Metal should be performed. And this is a comment that deserves to be stated in this work. One of the most underrated instrumental projects returns with a new CD and at the same time makes a reviewer’s life harder. How is that? It is so difficult for one to be precise when in need of transforming his emotions into words, when the songs he listens can “speak” through notes. Drummer Gary Oppert and bassist Steve Sexton join again forces with guitarist Marcel Coenen and Sergey Boykov and deliver us a wonderful album that I enjoy as much as their previous efforts. “Evening Sky” includes 12 tunes, balancing on improvisational forms, while mixing guitar and keyboard leads from Coenen and Boykov. Since we all know how great guitarist Marcel is, I would like to stress again the great talent of Sergey Boykov. I think it is quite hard to find a keyboard player that can deliver strong melodies that play a strong role in a song, without just “filling” some gaps. The listener can enjoy his important role in songs like “Presence Of Mind”, “Silent Ages” (maybe my favorite tune from the album! ), “Red Horizon” (what an opening riff!) and “Afterthoughts”. I must also add that Jonas Tamas delivers additional guitar parts on the song entitled “Valley Of Rephain”, another brilliant instrumental tune that OSV are always able to make us enjoy. You could discover behind my flattering words on the band’s debut song “Running” that leaked and made me interview the band (read the article here), an anticipation regarding the release if their debut. Well, one year later I am holding in my hand the very first ITM release and my feelings of joy are intense. The band that features one of my all-time favorite vocalists, Corey Brown, known from his appearance in the always amazing bands Psyco Drama, Magnitude 9, Section XVI, Balance Of Power, Metro Society and others as well released a debut that contains modern and well-structured songs that draw the listener’s attention. US Prog Metal is so alive and kickin’, especially when it’s performed by so experienced and talented musicians. Corey’s voice is in really good shape. His expression is still passionate, while its melodic lines are once again so wonderful. His passionate and powerful performance is so intense on the songs “For The Last Time”, “Out Of My Head”, “Bury Me”, Running”, “Never Let Go” compositions that I really cannot stop listening to! 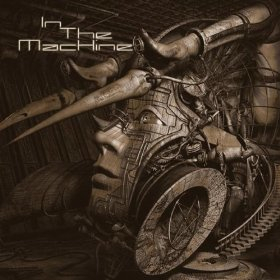 In The Machine is a band I am proud of. Their very first album delivers the music that I am fond of. Dark, passionate, full of diverse emotions. To be honest, this is art. And the artists involved in this project know how to create and even wake the listener’s soul. Corey and the rest of the gang have finally returned to the scene. And this is a great headline for all the fans of the genre. You can purchase their debut and realise by yourself that qualitative music will never disappear as long as band like ITM are contributing such albums! If someone is familiar with the name Bobby Williamson, then he knows that we deal here with an album that is destined to become classic! The keyboard player from the mighty Outworld is back with a new band and I feel lucky to enjoy an album that is simply wonderful. I still remember the day when I obtained Progpower’s IX showcase CD and listened to the opening track. It was titled “Bobby Williamson - Heirs of Peril” and from that day I consider it to be one of the finest anthems in the modern Power/Prog Metal period! 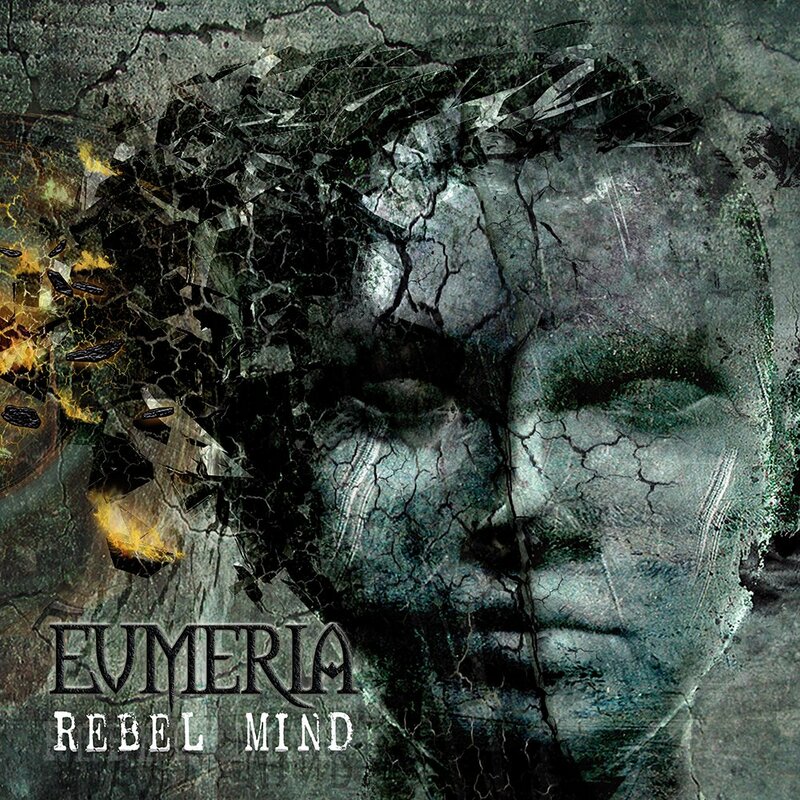 Eumeria is a fully-talented band. Featuring the always amazing Jonathan Tatum, a british singer who is gifted with a wide and harsh range in his voice, the songs are coloured with his clean and melodic vocal expressions. 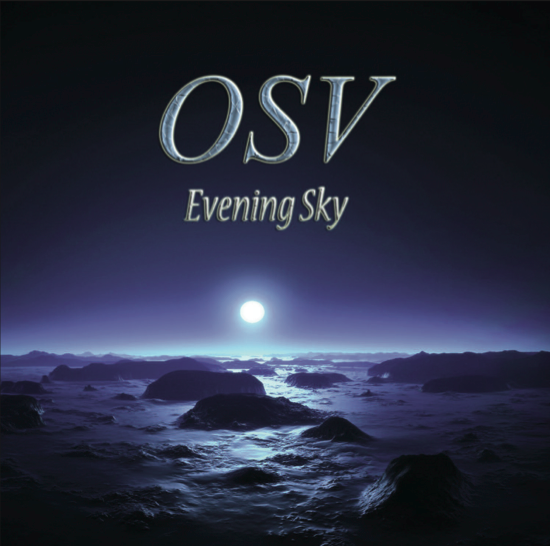 Along with virtuoso guitarist Reece Fullwood, the band transcends the typical barriers and progresses the Power/Prog Metal genre, adding originality and quality with the debut CD. Harsh guitar sound that leaves you breathless with the ability to play noticeable solos and riffs, while the atmosphere in the album is pompous, emotional and powerful. Keyboards play the same role in this, without leading or staying on the background. It is so optimistic to witness a band that doesn’t want to be another copycat of the “dinosaurs” of the genre and is brave enough to show the world its musical identity. Please allow me not to comment each song separately. I think words are poor enough to make you realise what has been created in this album. The celebration of the human inspiration is traced clearly in Eumeria’s debut. You will be right if you think that I am quite enthusiastic on this review. I really am. In a time full of bands that follow a certain trend that comes and goes, in a period where inspiration is buried under the ability to execute fluently but omitting at the same time the grand idea that makes music so indestructible, only few musicians can dare and create something special. Well, here you have it. “Rebel Mind” is truly one of the finest albums of the decade. May you celebrate by supporting this wonderful band that searches for a contract (crazy, isn’t it?) and wish to watch them becoming one of the all-time greatest names of the scene. P.S. : Oh, and “Heirs Of Perils” has become “Secret Places” on the CD. How on Earth could someone forget such a fine piece of art? Thank you Bobby for giving back the keyboard sound its strong position in a band! It is so pleasant to follow a band since its beginning and witness its noticeable innovation. 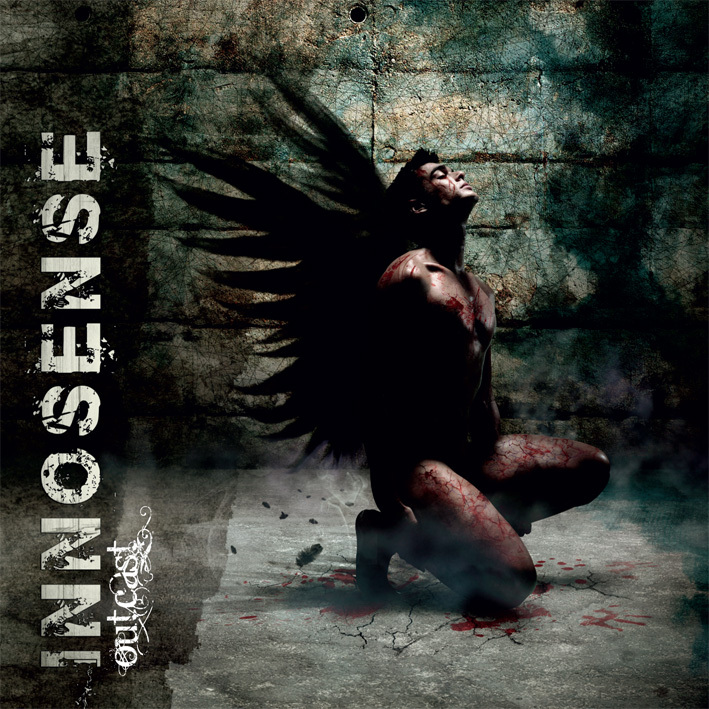 The readers of Magic Starlight zine will definitely remember the review on Innosense’s demo CD that came out three years ago. Their debut is a wonderful highlight of melodic Progressive Metal, so refreshing, modern and emotional that will definitely satisfy even the most demanding fan of the genre. Just listen to the brilliant songs “Mystify”, “Release” and the unique ballad “Seasons Of Oblivion” in order to feel the passionate vocal lines, along with the wonderful music. All other seven tracks are so enjoyable, that leave me with no alternative than to name “Outcast” as the highlight debut of the year! This is how sentimental Progressive Metal should be performed. I an sure that this CD will find its place in every discography that hosts some of the finest works of the genre. Well done guys for forcing me to say: this is only the beginning of a bright band! You can order the album through Steel Gallery Records. Now this is a band full of talented youngsters! “Pandemic” is the band’s second release, following their debut “The Reign Of Dreams” that came out a couple of years ago and it showcases the high potential that this band showcases! Having already a new singer (Yiannis Papadopoulos) and bass player (Bill Gagavouzis) on the camp, they demonstrate their huge talent with an EP that delivers wonderful Progressive Metal, based on brilliant keyboard and piano lines by a wonderful performer named Lefteris Germenlis. The band was formed in 2004, in Thessaloniki, Greece, by 14-year old schoolmates, Orestis Fikos (ex-Bassist), Lefteris Germenlis (Keyboardist) and Alex Hughes (Drummer). The band’s first name was “Delirium” and in September 2006 they recorded their first demo entitled ‘Season IX’. A few months later, a second demo, entitled ‘Hopes Forever’ was also released and two years later. Τhe band changed its name to “Until Rain” and released its debut CD. Two year after its release, we now witness a huge progression in the band’s ability to compose magnificent songs! The self-titled track that opens the EP is bombastic and powerful, but the real thrill comes with the astonishing, brilliant track titled “In A State Of Great Depression”! 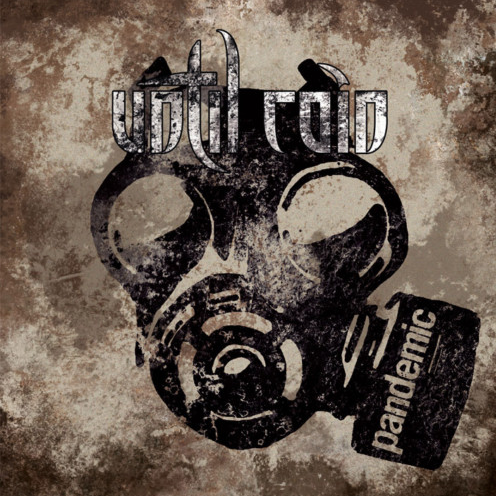 This particular song is a masterpiece, with one of the most wonderful choruses and intelligent musical combinations that I’ve listened to lately and proves that Until Rain have entered the right path that leads to worldwide recognition. “Pictures Of The Past” follows and it is equally brilliant, with sentimental vocal lines, brilliant riffs and catchy melodies, while the whole atmosphere is so intense! The listener can also listen to two radio edits of the songs “Pandemic” and “Departure”, while the EP features also an acoustic version of the highlight song “Adaptability” (originally featured on the debut CD). Until Rain really filled me with enthusiasm and I am already anticipating their next effort! You can purchase pandemic through Steel Gallery Records. Now this was the big surprise of 2010! 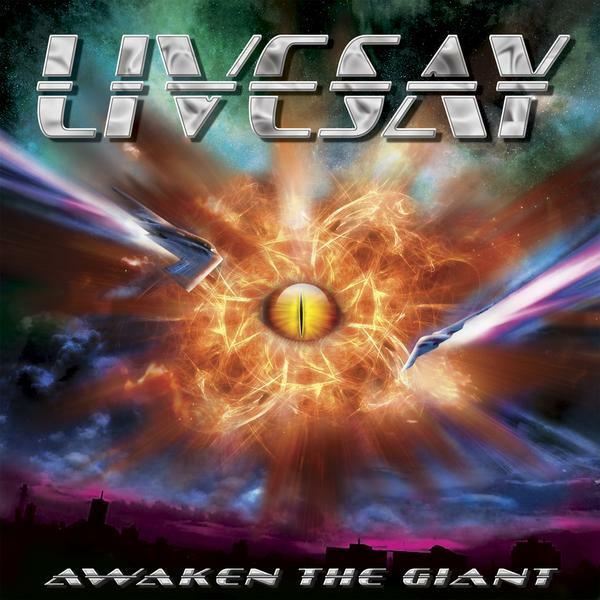 I am familiar with Livesay’s previous releases, beginning from the album “Under The Table“ (released on tape format) until the “Darkest Hour” CD. To be honest, Gregg’s albums were missing some grandiose tunes that would establish him as an important composer. But in “Awaken The Giant” things have rapidly changed. A spectacular CD indeed, featuring 8 songs that will definitely satisfy every fan of guitar-driven Hard Rock/Metal music. Gregg delivers two amazing instrumental tracks on the album entitled “Aphasia” and “Dance Of the Egyptian King” and showcases his devotion to Neoclassical Metal music, combined with many eastern influences. It is pure pleasure to listen to such a fine guitarist, in times where virtuosos are still handled as “egomaniacs” from some narrow-minded critics and fans. Including songs like the bombastic “Tower Of Silence” with a storming riff that bursts into the song and transforms it to a metallic hymn, the splendid tribute to the unforgettable eastern-influenced tracks “Flesh & Blood”, to the ABSOLUTE Mega Opus titled “The Agonist” (a 12-minute hymn which fairly earns the title of the “Song Of The Year”! ), Livesay’s latest effort should receive worldwide success. 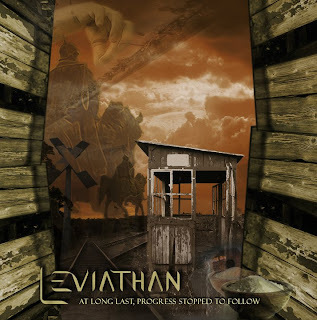 Featuring singer Dean Sternberg(ex Into Eternity, Toby Knapp) which does a fine job, the band shouts that qualitative and inspiring Metal music is not dead! My enthusiasm is surely intense, since I feel so pleased to listen to this CD again and again! I believe that “Awaken The Giant” is by far the heaviest and most wonderful Livesay release and I hope that Gregg will continue to compose songs in this very favorite style of mine. Do not neglect this CD by any means. It is one of the greatest albums of 2010 and a resurrection of a band that has a lot to contribute to the scene! You can buy the album here. Livesay’s mySpace and facebook page. Now this is an important resurrection for all those nostalgic fans of Greek Power/Progressive Metal. Fortress under Siege are back with a new album, after 18 inactive years! For those who are not familiar with the band’s history, I must remind to all that they formed back in 1992 by Fotis Sotirpoulos (Guitars) and John Vasilakis (Guitars) after the split up of Gladiators (another legendary and qualitative Power metal band that never had a proper release). With the addition of Michael Smeros in vocals and Nick Dedes behind the drum kit, FUS invited bassist Aris Matheakakis and started recordings for their debut EP, which originally came out on tape format, but later released in 1996 as a self-titled mini CD from Metal Mad Music. In the meantime, Vangelis Xatziandreou (Bass) and George Georgiou (Keyboards) joined the band and gave several live performances. 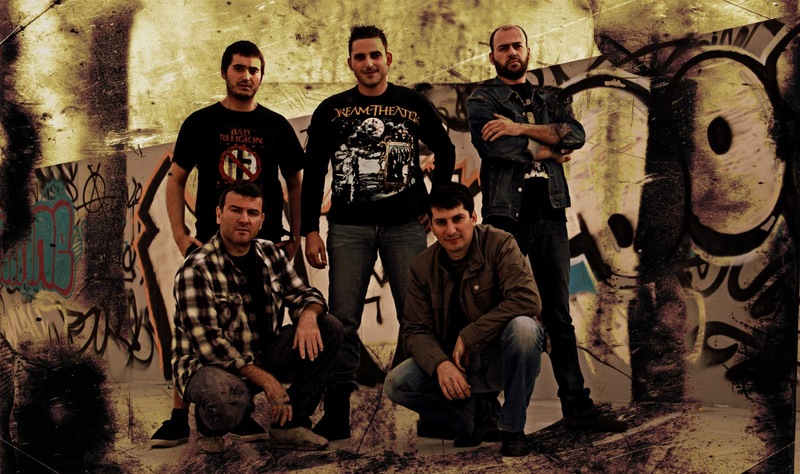 Although inactive since 199,8 FUS continue composing and finally reunited in 2009, with the addition of drummer Spiros Zenebisis on October 2010. The band released a three-track promo that gives a brief example from their 10-track new CD and they currently searching for a record deal. Their newest creations are sentimental, Power?Progressive Metal samples of their creativity and it’s so wonderful to realise that their talent remain unchanged. “Deeds Of All Disgrace” begins with a melodic intro, followed by a storming change, while Smeros’ vocals are powerful and melodic, a distinctive trademark that characterize the band. “My Foulest Sin” combines the basic keyboard melody with a fast-paced rhythm section and is quite inspirational, while “Gods Of War” is the heaviest track of all, with grandiose chorus and majestic, pompous parts and wonderful guitar leads. Currently (December 2010), FUS have finished recording and mixing of their new album. Some other indicative song names are: , "The Mortal Flesh Of Love", "Gods Of War", "Alexander", "Last Temptation" and "Night Caress". To be honest, this EP can sum up a whole theory on modern Metal music: Minimalistic approach can be intuitive yet refreshing. It’s so encouraging for the listeners to enjoy three wonderful musical creations of melodic and pompous Power Metal. 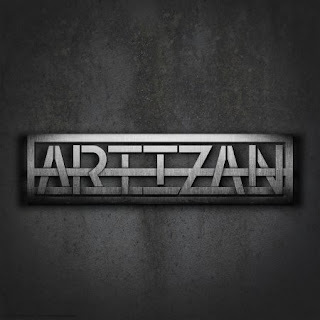 Artizan showed the world their “manifest”. Drummer Ty Tammeus and vocalist Tom braden, known from their participation in the renowned US Prog metal band Leviathan (during their first EP and Deepest Secrets Beneath” days) really establishes the band’s reputation. Artizan may not follow a definite Progressive route on their musical approach, but focus on catchy songwriting with strong memorable vocal line and riffs. The result is wonderful and all three songs are a pleasure to listen to. Tom’s vocals are strong and contain that distinctive tone that usually follows the guitar line and makes the band’s sound much more solid and focused. I also have to give credit to Jim Morris and his splendid production; the band recorded the song at t Vision Sound, Orange Park, Florida and the mastering was done at Morrisound Studios, Tampa, Florida, USA, so they definitely picked the right option. The good news also is that the band signed a contract with Pure Steel Records and their debut album is expected to be release in early 2011. So, you can buy their debut EP via their website or via iTunes instead of waiting for the first full-length and really enjoy an extremely promising US metal band!